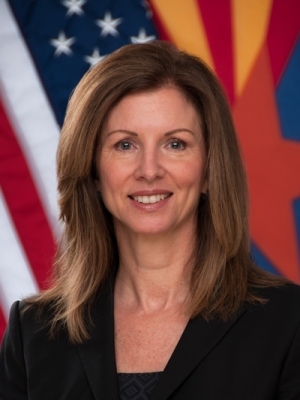 Wendy Smith-Reeve began her tenure as Director of the Arizona Division of Emergency Management in May 2013, assuming the duties of Deputy Director of the Arizona Department of Emergency and Military Affairs (DEMA) in November 2013. As Director of Emergency Management, Smith-Reeve manages the state’s emergency preparedness, response, recovery, and mitigation efforts. As Deputy Director for DEMA, she supports the agency Director/Adjutant General in ensuring agency alignment with the Governor’s vision and priorities. Smith-Reeve joined DEMA’s Division of Emergency Management in September 1996 as a finance specialist for the Public Assistance Program within the Recovery Section. She was progressively promoted through the section and became Assistant Director for the Recovery Section in 2009. During her tenure at DEMA, Smith-Reeve has supported and/or managed state response and recovery efforts for 100 state disaster declarations, and 12 presidential disaster declarations. In April 2015, the Emergency Management Accreditation Program reaccredited Arizona in affirmation that the state’s emergency management program meets industry-recognized national standards. Smith-Reeve is a current member and former president of the Arizona Emergency Services Association. She is a member of the National Emergency Management Association (NEMA) and serves as NEMA Past-President. Smith-Reeve also supports and serves on multiple committees, councils, and coordinating groups.